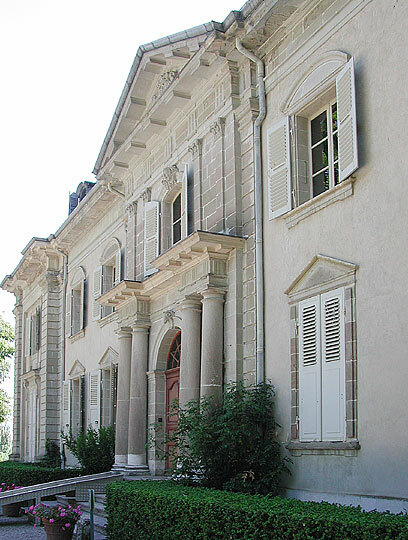 Voltaire (1694-1778) built his chateau in Ferney in France, close to Geneva in Switzerland. He could move quickly across the border when he was in trouble with the authorities of either country. 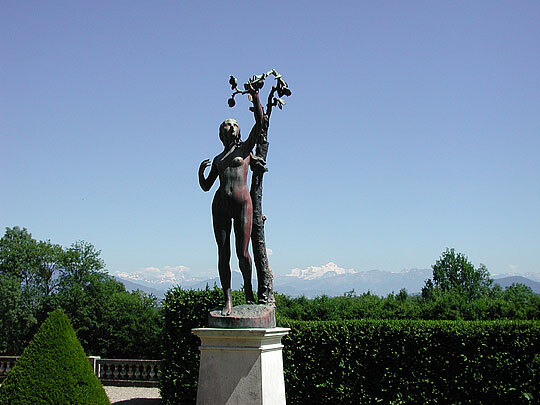 The picture above shows his view to Mont Blanc in the French Alps; Geneva is down in the dip between the house and the mountains. 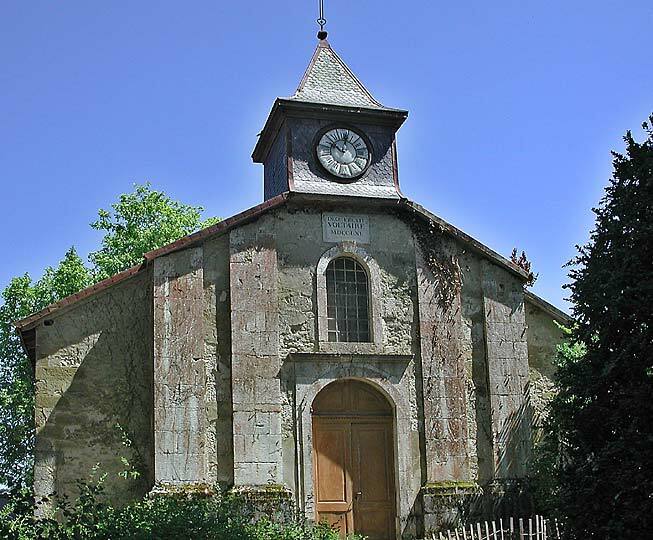 He acquired the estate in 1758 at the age of 65 and lived there for the last twenty years of his life. He is a giant figure of the Age of Enlightenment - read a brief biography at the Lucidcafe website. For more extended information see the Wikipedia entry, including many links. 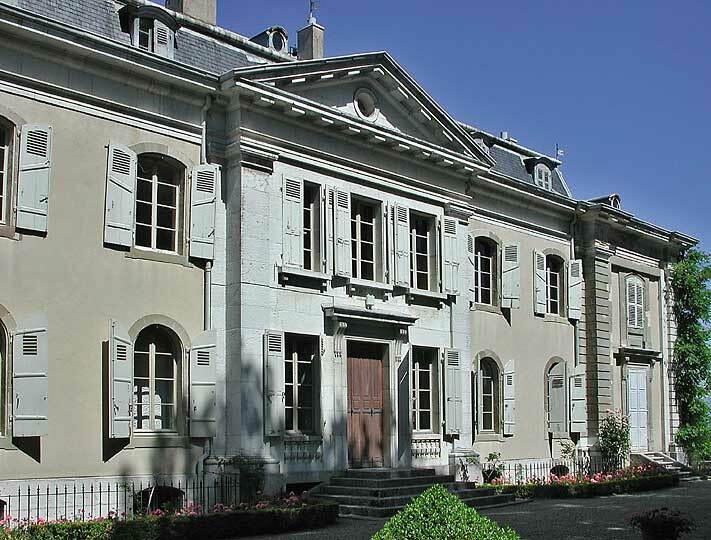 For serious scholars, see the Voltaire Foundation. 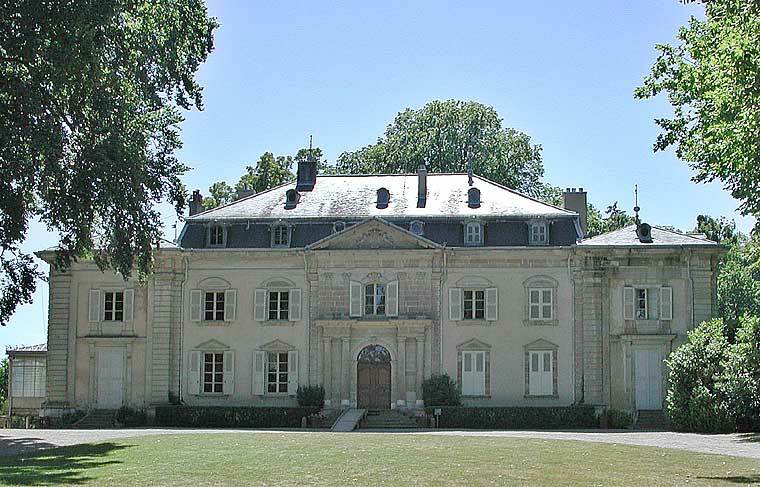 The chateau was built in 1758-62, with Voltaire directing the work himself. The first three pictures above show the courtyard side. 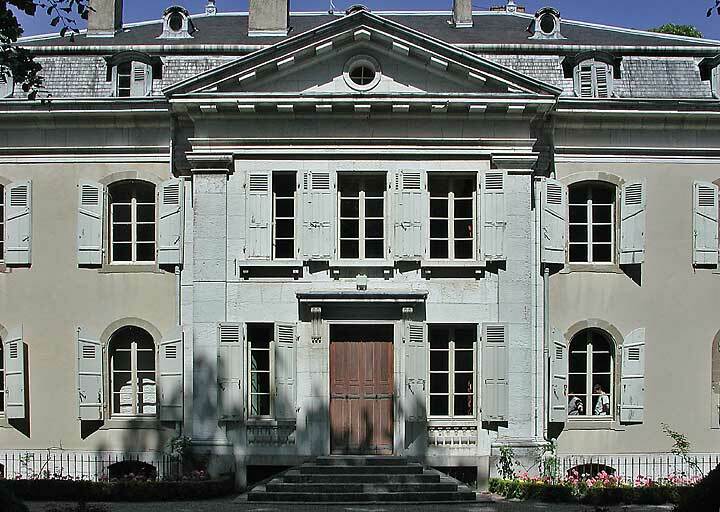 The two wings were added in 1765 by the architect Léonard Racle as more space was needed for the increasing number of visitors. The symmetrical classical facade has a central entrance in three stages: Doric columns, Corinthian pilasters, and a pediment with the arms of the manorial lord. 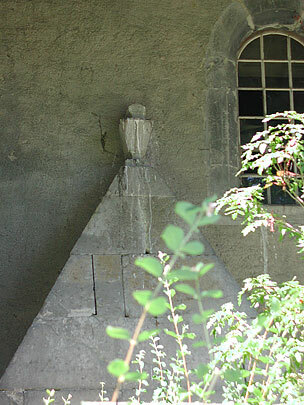 The windows have triangular and segmental pediments. On the opposite side of the building, facing the garden, the windows have round and segmental arches. 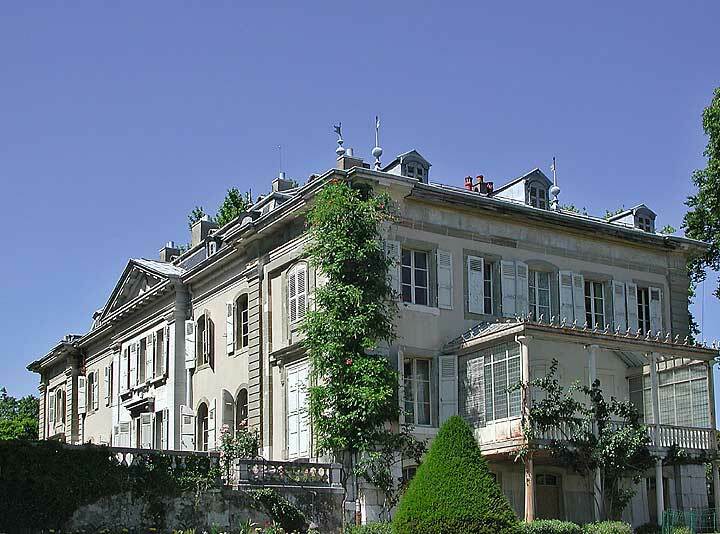 The central portion has straight-headed windows below a triangular pediment; this is a 19th century replacement of Voltaire's original curved projecting bay. 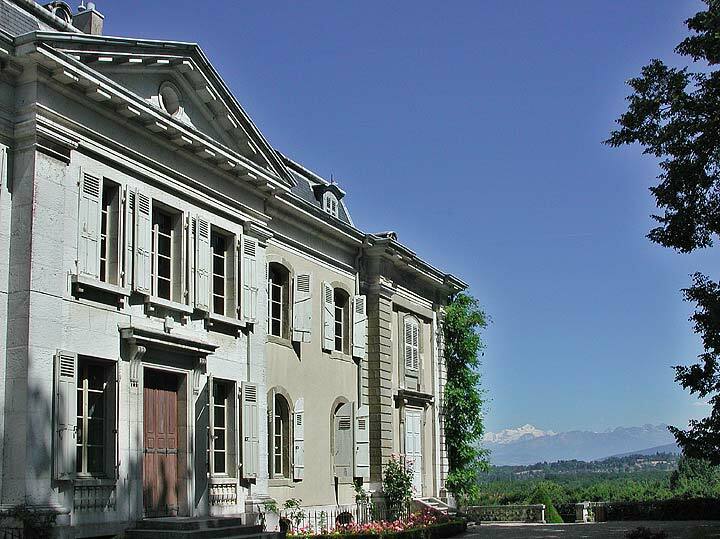 The terrace on the end elevation provides a wonderful view across Geneva to the French Alps and Mont Blanc. 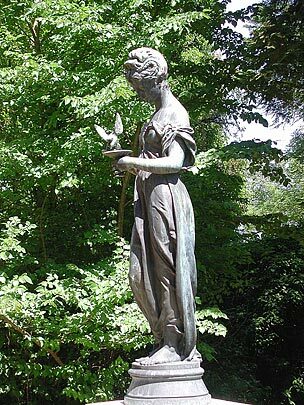 In the garden are many statues. Across the courtyard opposite the entrance stands the church. 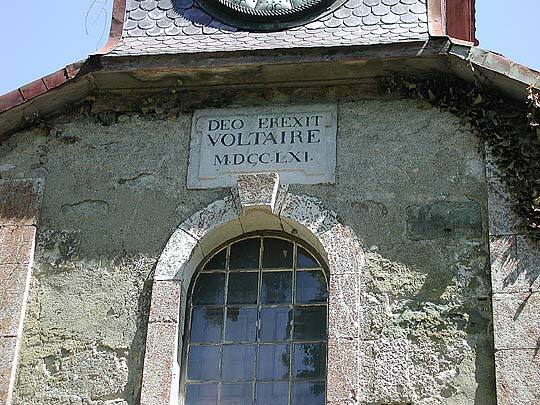 It was rebuilt by Voltaire and, against all custom, he simply dedicated it to God (see third picture). His own name is written larger than God's (he was not a modest man!). The last picture is of the tomb he constructed for himself on the south side of the church in the shape of a truncated pyramid. In the event, he died in Paris and now lies in the Pantheon, the shrine of great Frenchmen. 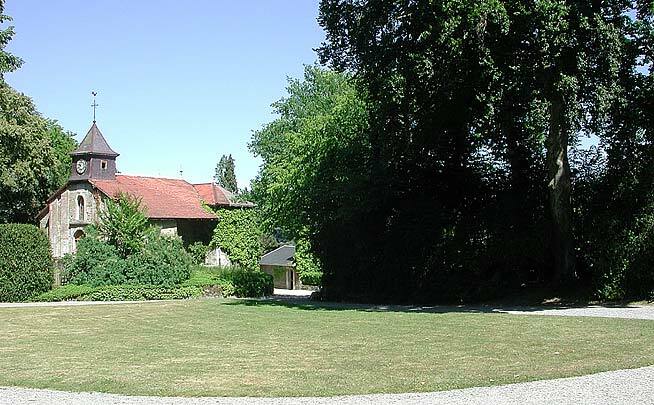 The wooded copse in the first picture marks the position of his barn theatre. 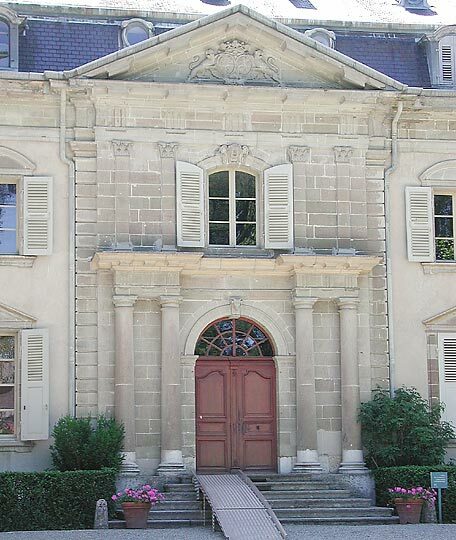 It is possible to visit the interior of the chateau, but photography is not allowed. 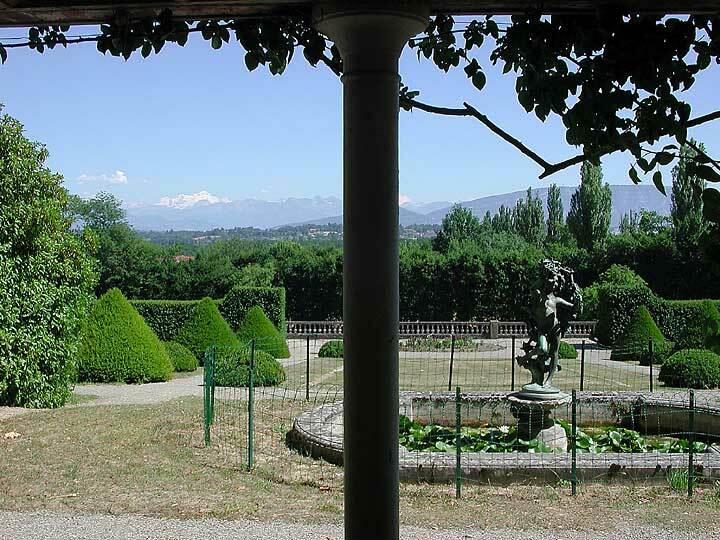 Whilst there are a number of interesting memorabilia and pictures, the decoration and arrangement of rooms has largely changed since Voltaire's time.